You don’t have to drive to the East or West Coast of the U.S. to discover family-friendly vacation spots. America’s heartland offers plenty of fun for families, whether you want to sightsee at historic monuments, explore some of the nation’s best museums, or enjoy the beauty of nature. Plan a family-friendly road trip in the Midwest, and put these destinations on your itinerary. RV rentals and this list of must-visit cities are all you need for an unforgettable family getaway. When you think of St. Louis, you probably envision its iconic arch, which is a must visit while you’re there. The Gateway Arch includes a tram that allows you to ride to the top of the arch, taking in sweeping views of the city. However, St. Louis has plenty more to offer than just the Arch. Visit the St. Louis Zoo, which includes 90 acres of attractions spread across six zones. Watch sea lions and stingrays swim in Caribbean Cove, visit The Wild to see penguins and puffins, and get up close and personal with lions, tigers, leopards, and giraffes at Red Rocks. For more hands-on exploration, take the family to The Magic House. This children’s museum offers countless hands-on exhibits, allowing youngsters to learn about American history in the Star-Spangled Center or climb up a three story beanstalk. The outdoor play garden allows youngsters to climb in a speedboat or enjoy a round of hopscotch. 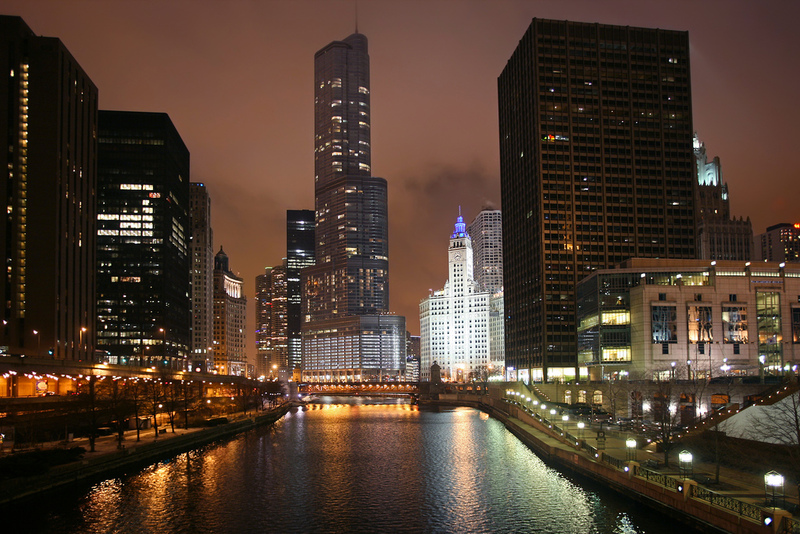 Chicago is a must-see Midwest destination for families, offering the best museums in the region. Check out the Museum of Science and Industry, where you can hop onboard a real submarine. Check out Sue the T-Rex at the Field Museum. Maggie Daley Park just might be the best playground your kids have ever seen, thanks to its climbing wall, mini golf, and skating ribbon. The Lincoln Park Zoo offers a free glimpse of mammals, reptiles, birds, and amphibians. After all that activity, pick up a deep-dish pizza from Giordano’s or Lou Malnati’s. Set on the banks of the Ohio River, Cincinnati has enjoyed a recent renaissance, making it a family-friendly road trip destination. The Newport Aquarium allows your family to check out stingrays, seahorses, alligators, and penguins, along with plenty of other sea life. For more animal adventures, head to the Cincinnati Zoo, where polar bears, elephants, hippos, and manatees call home. Sports fans can catch a game at the Great American Ballpark where the hometown Reds play or Paul Brown Stadium, home to the NFL’s Bengals. For some outdoor fun, head to Smale Riverfront Park, which is perfect for a picnic and carousel ride before you hop back into RV rentals for the ride home. Lake Geneva is a resort city in Wisconsin, serving as a perfect destination for families who love outdoor adventure. If you visit during summer, check out one of three lakefront beaches, which feature both sandy and grassy areas perfect for soaking up some sunshine. Water lovers can kayak, canoe, or paddleboard on the lake or hop aboard a cruise for some exploration. For more kid-friendly water fun, check out Timber Ridge Lodge and Waterpark, which includes an indoor and outdoor waterpark with plenty of attractions for kids and adults alike, including 35-foot-high slides. Lake Geneva boasts plenty of hiking and biking trails as well. Pick apples at one of three local orchards. Animal lovers should check out Safari Lake Geneva, where you can go on a guided expedition and get up close and personal with animals from all over the world. These hour-long tours allow you to feed many of the animals on this 75-acre wildlife habitat. Branson, Missouri is a popular Midwestern vacation destination — and for good reason. Situated in Missouri’s Ozark Mountains, Branson gained fame thanks to its robust live music and entertainment scene. Recently, however, the city has developed even further, making it an ideal road trip destination for families. A must-do when you’re in town is Silver Dollar City, an amusement park that takes you back to the 1880s. This old-time park isn’t short on fun — it features roller coasters, water rides, and live shows. If you’re visiting during the summer, check out White Water waterpark for even more kid-centric fun. If a day in nature is more your style, you’ll have plenty of places to camp, hike, and even horseback ride. Two lakes — Table Rock Lake and Lake Taneycomo — are ideal for water adventures, whether you’re kayaking, boating, or stand-up paddleboarding. Whether you’re planning a cross-country journey or are a Midwesterner looking for a vacation spot that’s not too far away, you can discover plenty of attractions in the Midwest. Securing your RV rentals is your first step toward a family-friendly road trip to one of these Midwestern destinations. With the right transportation and a fun city as your destination, you’re sure to create a family vacation that will leave you with plenty of excitement and some unforgettable memories.